Prime Minister May’s twice-defeated Brexit plan could mean prolonged uncertainty as UK lawmakers favor an extension to the Brexit deadline. During the recent series of votes in Parliament, MPs again rejected the Prime Minister’s new-look deal to leave the EU – while also maintaining no desire to leave without one. What MPs were overwhelmingly in favor of, along with many others looking to avoid a hard-Brexit, was for PM May to seek an extension to the deadline with the EU. These votes are not legally binding; however, they do require the Prime Minister to request an extension to Article 50 with EU leaders. The length of the extension is yet undetermined, as PM May intends to continue with negotiations to get a deal approved before the deadline. If the Prime Minister cannot persuade parliament to approve the current deal – and Speaker Berkow is now saying that the deal cannot be presented to parliament a third time without substantial change – the delay can last up to a year or more. In the event a deal can be agreed upon, the “short technical extension” would only last until 30 June to avoid the trickier legal and political dilemma of a departing UK voting body participating in the coming European Parliament elections. This all may be a moot point, considering a “stay of execution” as some have called it, to the Brexit deadline would require unanimous agreement from all 27 EU member states. And, despite MPs voting against a no-deal Brexit, it remains the default position for the UK when everything comes to a head on 29 March. If a deal can be agreed upon and a transition period goes into effect, then the UK’s trade future becomes a little clearer. As it stands, the likelihood of anything other than a deadline extension or a hard-Brexit is diminishing by the day. MPs have voted down pursuing another referendum, and unless Labour tables another motion of no-confidence – the route to a general election and new leadership in time is all but closed as well. Several things could still happen in the next few weeks that make no-deal less likely. Even with an extension, if the UK and EU cannot agree to a deal, no-deal remains the outcome by law and it is, however, interesting to see that the UK has published an interim “no-deal tariff” detailing the duty rates that will apply to imports into the UK – 87 percent of HS/Commodity codes (by value of imports) will have a zero duty rate, while other products deemed to be worthy of protection – cars, select clothing, sheep meat – will have a positive rate of duty. Clearly, levying zero-rates of duty limits the UKs position in negotiating trade deals. Which begs the question, why negotiate if you get tariff-free entry to the UK anyway? This tariff schedule will only apply for a period if there is a no-deal Brexit. The UK is currently phasing in its new Customs Declaration Service (CDS) – a decision made before the EU referendum – that will replace the existing Customs Handling of Import and Export Freight (CHIEF) system. CDS will offer several new and existing services in one place and is designed to handle the resulting influx of new trade documents from a hard-border. Other options have been put forward to help with the transitionary period, including negotiating mutual recognized Authorized Economic Operators (AEOs) and making existing Customs Freight Simplified Procedures (CFSP) easier to access for trade partners – evident in the transitional simplified procedures announced recently. Although an advantage, these special procedures take time to apply for and still wouldn’t help with issues like pinch points at channel ports. Even for businesses utilizing AEOs, customs checkpoints at narrow ports like Dover can cause huge delays. It’s the equivalent of putting snow chains on your 4×4 to handle the wintery storm, only to be stuck behind a two-wheel drive sports car on a one-lane road. Regardless of the physical infrastructure being redone, it would be reliant on the government to develop a streamlined process for these scenarios. 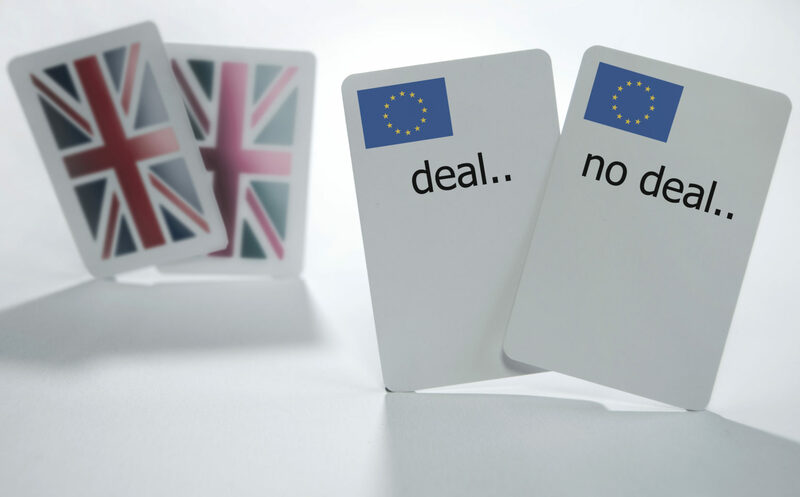 The prospect of a delay offers a glimmer of hope for avoiding a chaotic no-deal exit, but companies remain on tenterhooks until the UK and EU can agree on a new trading relationship that protects trade links and supply chains. With a hard-Brexit looming around the corner, those implementing contingency strategies and using technology to help mitigate disruption to their supply chains have the advantage. As experts in global customs and compliance, BluJay can help. Contact us to speak to a BluJay expert today, or visit our Brexit resource center for related information and tools. To speak to someone on our UK customs team about Brexit or any related inquiries, call +44 (0)1689 818000. Lorenzo Rossetti is Business Product Owner, overseeing Customs solutions in the UK for BluJay. He has spent his entire career in the UK customs world, including 17 years as Customs Development Director for Grosvenor International, now a BluJay Solutions company. Lorenzo can be reached at +44 (0)1689 818000.